Arguably Britain’s greatest Battlefield Commander of whom only he can it be said that he never besieged a town he did not take, nor did he fight a battle that he did not win. He first came to notice in defeating the Duke of Monmouth’s Rebellion at the Battle of Sedgemoor in 1685. In 1688, while in charge of the King’s Army, Churchill defected to William of Orange leaving King James II without his most able General. But it was later in Europe where Marlborough was to cement his reputation with stunning victories against the all-conquering French Armies of Louis XIV. Between 1704 and 1709 during the War of Spanish Succession he was victorious at Blenheim, Ramillies, Oudenarde and Malplaquet. 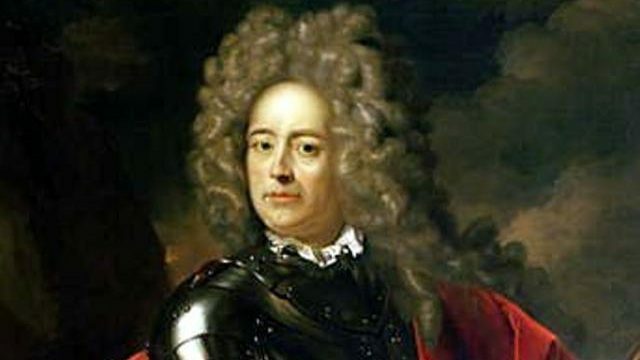 His battles and other campaigns saved Britain’s allies Holland and Austria from becoming victims of Louis XIV’s expansionist policy during the War of Spanish Succession and demonstrated that Britain was now a power to be reckoned with. Because of his importance to the British cause he was given the unique rank of Captain-General. Question: In which regiment did John Churchill serve when first commissioned as an Army Officer? Answer: The First Regiment of Foot Guards Today the same Regiment is officially know as the First or Grenadier Regiment of Foot Guards or, more commonly, the Grenadier Guards.